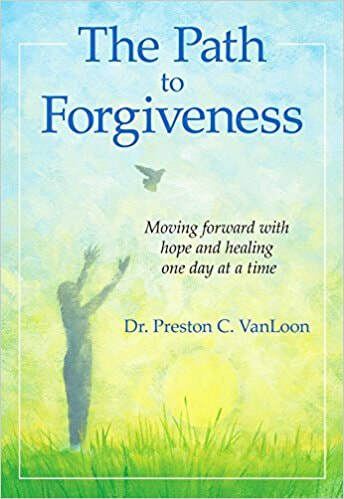 Dr. Preston C. VanLoon has extensive experience integrating forgiveness in his work as a college professor, pastor, chaplain, and mental health counselor. He takes the reader down “the path to forgiveness” one step at a time through a series of thought provoking meditations. Each meditation addresses different aspects of the forgiveness process and is followed with a question for reflection and personal affirmation. Dr. Preston VanLoon is passionate about making a difference in the lives of people and organizations. He is a much sought-after motivational and inspirational speaker who has presented both domestically and internationally. He provides daily “Forgive & Live” meditations on KNDR-FM (104.7) radio in Bismarck, ND. Dr. VanLoon has published curriculum and journal articles on a variety of topics including interpersonal forgiveness, the focus of his doctoral dissertation. He has served as a college professor, pastor, chaplain, and mental health counselor. Dr. VanLoon has spoken extensively to various groups and organizations about the benefits of interpersonal forgiveness. He is available for speaking engagements and consulting assignments and would love to speak to your group about The Path to Forgiveness. To learn more about Dr. VanLoon's speaking events and writing please check out his personal website. Forgiving is difficult. So is carrying the weight of undeserved hurt and pain. The Path to Forgiveness is for those who are struggling with an unjust painful experience and in need of healing and hope in their life. When we are hurt by another it affects our emotions, thoughts, and behavior. Forgiveness enables us to transform our negative energy and to use it positively to restore peace and meaning to our life again. Making the decision to forgive and practice forgiveness strategies offers the hope of a better future. You can use this study guide, along with The Path to Forgiveness, at a pace that is comfortable to you that will help you to move forward from the unjust suffering that you have experienced. The study guide can also be used in small groups to lead you and others down the path to forgiveness over a forty-day or eight-week period as you seek to restore meaning and direction to your life.